P1070822, originally uploaded by Aaron78. Gothersgade, Copenhagen. Friday evening, 7pm. Nothing more to be said. I was shopping around for a bike and I happened upon your blog. I think it's pretty nifty. Romantic, even. P.S. I live in a very bicycle-hostile suburb of Philadelphia, USA. 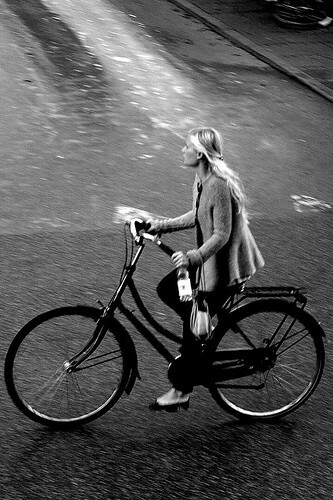 I wish I could cycle to work and about, without getting run over. hey bissage, thanks for stopping by and thanks for the nice words. good luck with your bike quest and here's to a more bike-friendly world!